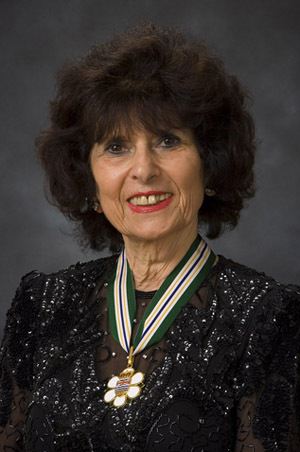 Dr. Gloria Gutman is an internationally known and respected educator, author, consultant and advocate, who has devoted her career to improving the quality of life of older people in British Columbia and around the world. Educated in B.C. and Alberta prior to the establishment of programs in her chosen field, Dr. Gutman pioneered the study of gerontology in British Columbia. Recruited to Simon Fraser University in 1980, she developed the Gerontology Research Centre and the Department of Gerontology at the university, serving as director of both for more than twenty years. Dr. Gutman’s research interests include seniors’ housing, long-term care, health promotion, dementia care, and environmental design. She has written or edited 20 books or monographs, more than 100 scholarly articles, reports and chapters, and more than 250 papers presented at academic conferences. Dr. Gutman has worked to make sure her research is applied in the real world, serving as a consultant to the B.C. government and the federal government. She has also served on several federal- provincial initiatives, and has led the BC Network for Aging Research. Dr. Gutman is a fellow of the Gerontological Society of America, founding president of the Gerontology Association of BC, and past-president of the Canadian Association on Gerontology and the International Association of Gerontology. She is a member of the board of directors of the United Nations’ International Institute on Ageing, and the World Health Organization’s Expert Advisory Panel on Ageing and Health.